21 Days Step By Step Program to Approach the Financial Markets Like a Real Professional Day Trader! Do you want to become a day trader, but you’re just not sure what kind of steps you should take to get started? Then, look no further. That’s exactly what this book is here for. This book is broken down into a 21-day guide that will help you take those steps to beginning a new lifelong career. The great thing is that you can take as long as you want on each step before moving onto the next. 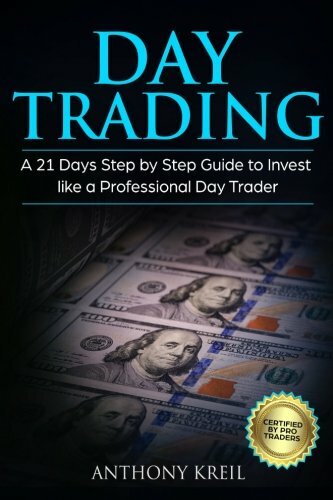 Even though the book was written to help you become a good day trader in only 21 days, if you feel you need to take a few extra days on any particular step, that is perfectly okay. You no longer have to figure out the steps to becoming a trader. This book has outlined those steps for you, so get started today. Take Action Grab Your Copy Today, Before it Returns to Full Price!